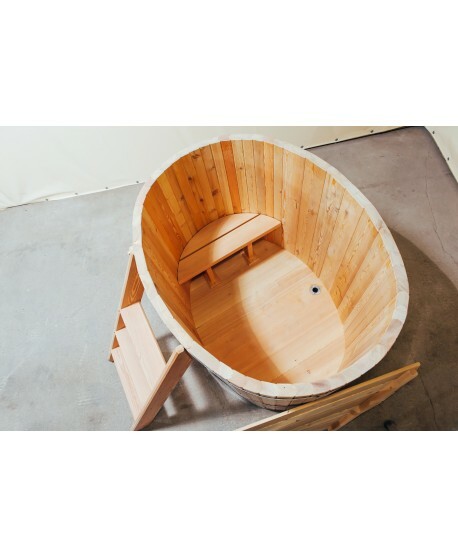 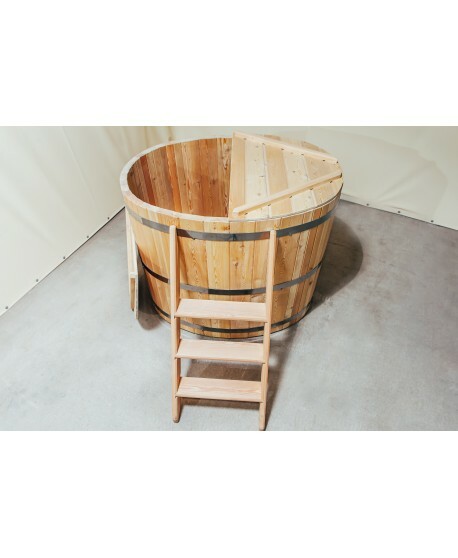 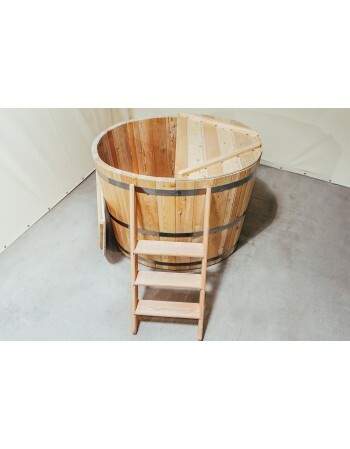 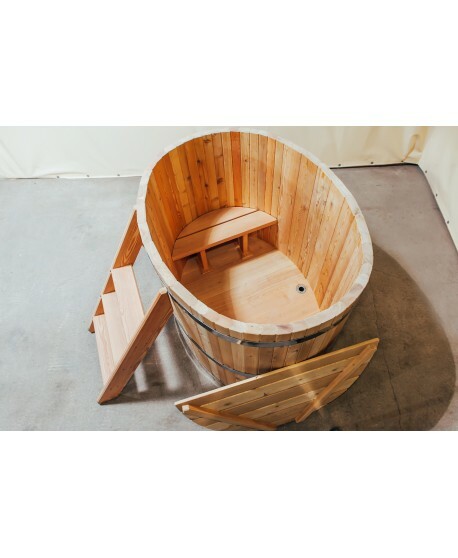 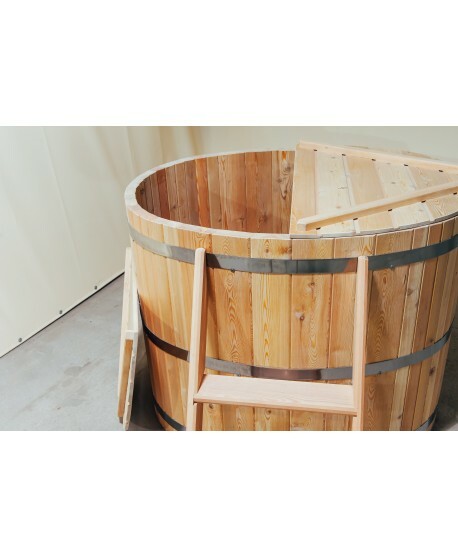 Natural wooden bath made of larch is a tub for one person. 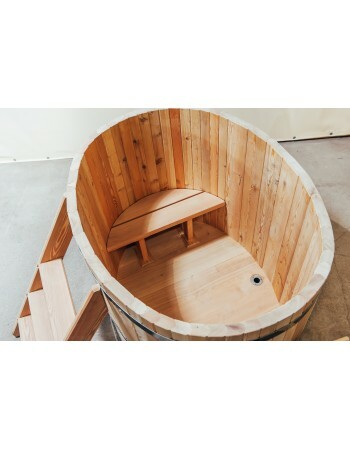 NOTE: color, wood type, stairs, stove, massages and other additional items and be changed. 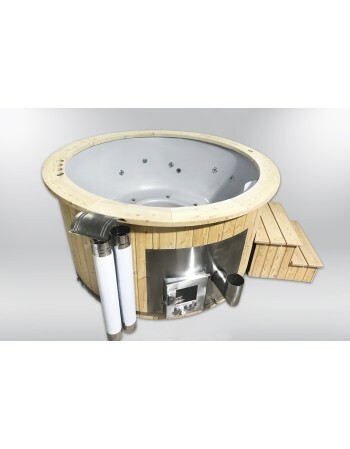 This big Ofuro hot tub has air bubble and hydro water massage systems. 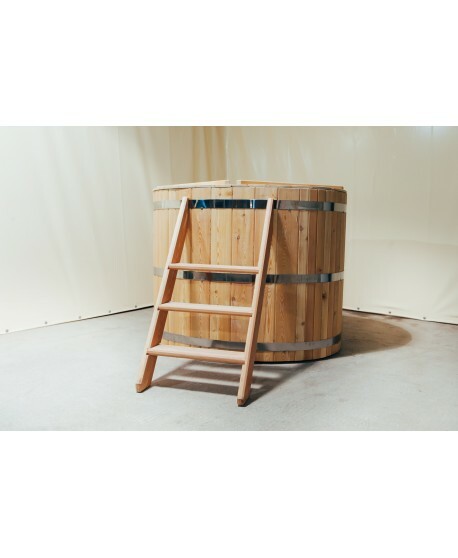 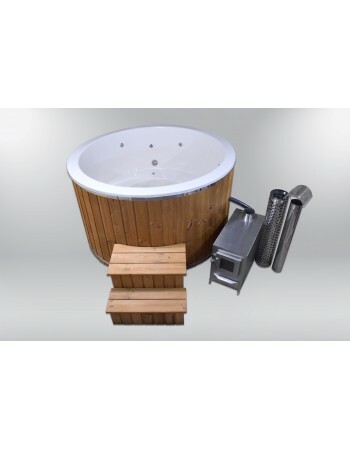 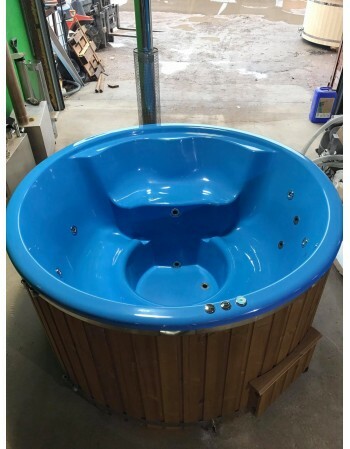 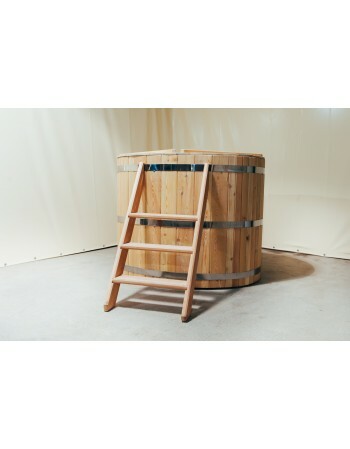 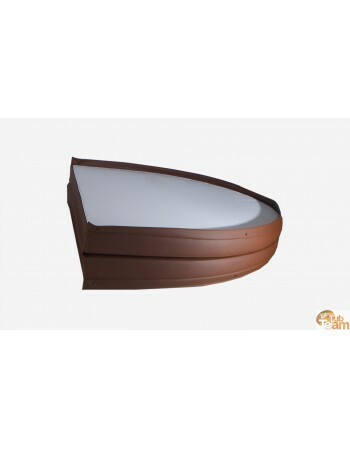 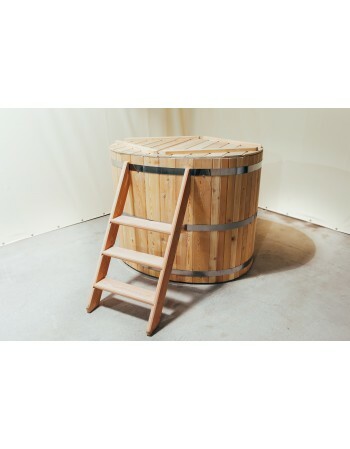 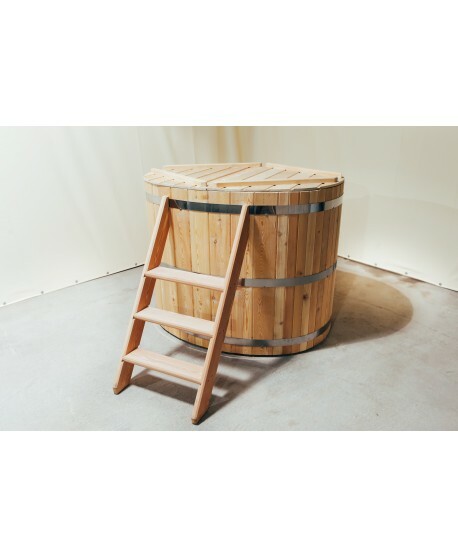 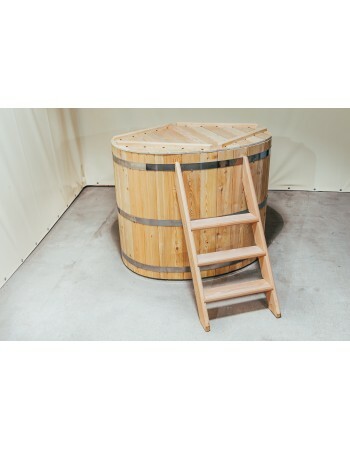 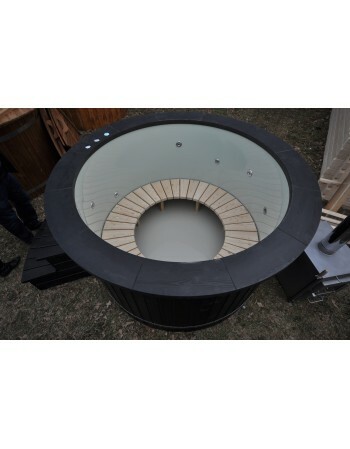 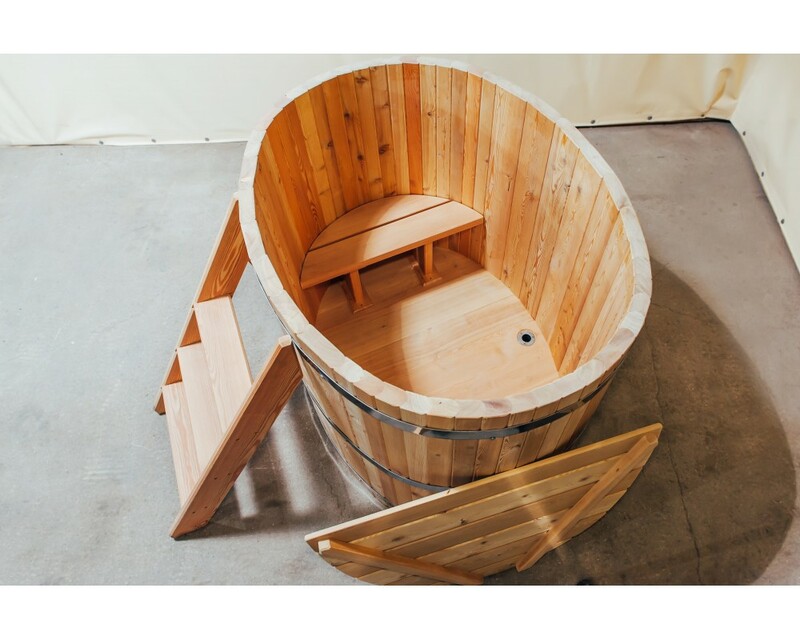 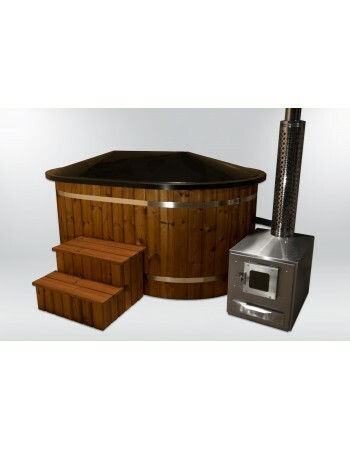 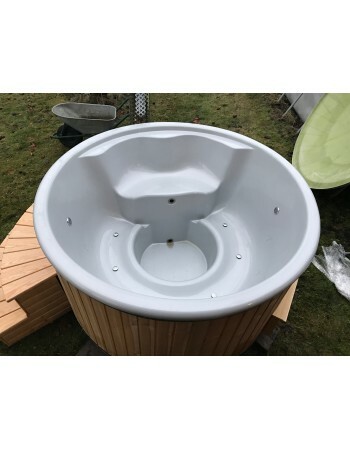 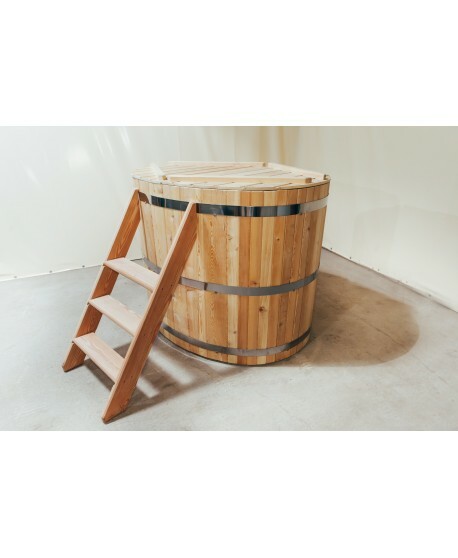 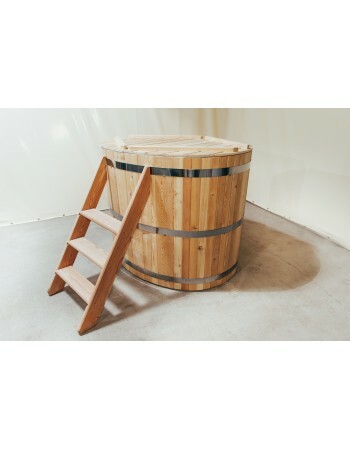 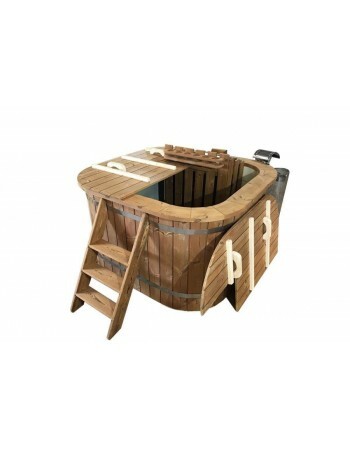 1,8 m Wooden hot tub with plastic liner and internal stainless steel stove. 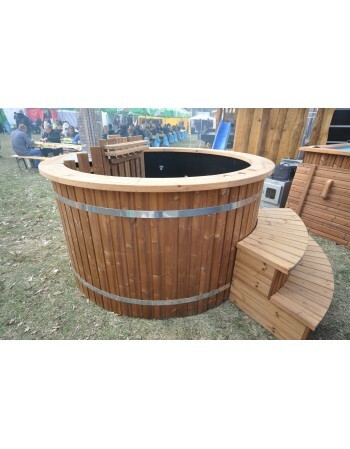 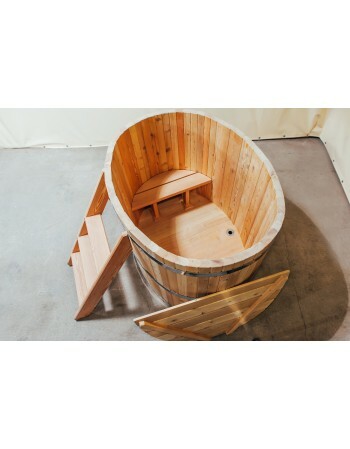 Hot tubs wooden part could be painted in different colors.